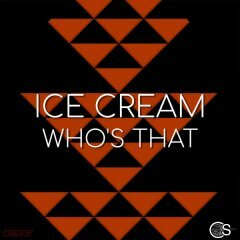 German producer Ice Cream returns to Craniality Sounds with a funky filtered disco house release entitled "Who's That." The title track is an upbeat tune that combines the elements of disco house with jackin house while the B-side "Take" is a groove driven filtered disco house tune. Both tracks have been well received by house music radio show hosts and touring DJs/producers in Europe, N.America, and Asia. Followers of Ice Cream know that for the past few years he has crafted an unique style combining cleverly chopped samples and funky house rhythms to create groove driven underground house music. His well-followed YouTube channel showcases various tracks and works in progress.